If you want to rejuvenate your skin and diminish lines, wrinkles, acne scars, and dark spots, microneedling with platelet-rich plasma may be the answer. 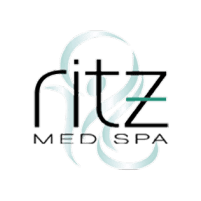 The team at Ritz Med Spa in Franklin, Tennessee, have extensive experience performing microneedling treatments that smooth away skin problems and leave you with more youthful-looking skin. If you have any questions about microneedling, call the office and talk with a team member, or schedule an appointment for a microneedling consultation. Microneedling is a skin treatment performed with an advanced medical device that uses microneedles to rapidly and gently penetrate your skin. The tiny wounds trigger your body’s natural healing process, which in turn stimulates the production of collagen and elastin. As new collagen and elastin grow in and replace old skin, your appearance is renewed. Fresh skin growth means you lose the old skin discolorations, scars, lines, and wrinkles. While you can get microneedling alone, you achieve better results by adding platelet-rich plasma, or PRP, to your microneedling treatment. What is Microneedling with Platelet-Rich Plasma? Your blood contains platelets, which are packed with proteins called growth factors. These growth factors stimulate the production of new cells, blood vessels, collagen, and other substances needed for healthy skin and wound healing. Platelet-rich plasma, which is easily produced on site, is blood plasma that contains more platelets than regular blood. With this higher concentration of platelets, PRP can be injected into the skin or other places in the body for medical purposes, where it promotes the growth of new tissues and speeds healing. When PRP is used during microneedling treatment, the platelets penetrate the tiny wounds, where they go to work, boosting collagen production and growing fresh skin. PRP is made from your own blood, which is good because you know it’s compatible with your body. However, it also means the procedure begins by drawing a small amount of blood from your arm. The blood is put into a centrifuge and spun to separate the platelets from the plasma. Then the extra platelets are added back to a small amount of your plasma to create the PRP that’s injected directly into your skin during microneedling. This allows the healing platelets to reach the deepest layers of your skin. Once there, they can begin repair and revitalization of the skin from the inside out. You should expect your skin to be red for a few days, but you can wear makeup the next day to hide the redness. It takes a little time for your skin to produce collagen and to regenerate new tissues, even with PRP. You’ll begin to see a noticeable change within a few weeks, and collagen continues to grow for a little longer, so you’ll see optimal results in about 12 weeks.